The U.S. has been involved in three disputes over individuals convicted and imprisoned for alleged spying. 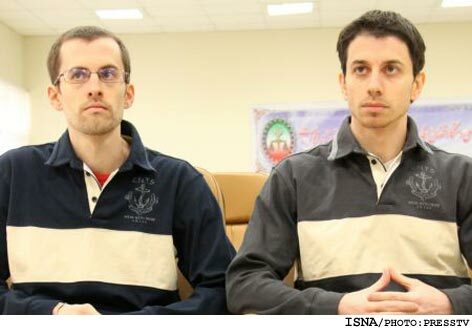 One dispute has been with Iran over its conviction and imprisonment of two American hikers (Shane Bauer and Joshua Fattal) for alleged spying. This week Iran unilaterally released the two men, a decision prompted, in part, by its desire to improve its international image at the start of the U.N. General Assembly meeting. The second dispute is with Cuba over its conviction and imprisonment of an American, Alan Gross, who apparently brought some electronic equipment to Cuba for Jewish people on the island. Former Governor Bill Richardson recently was unsuccessful in his trip to Cuba to gain Gross’ release. Late this week, however, there were hints that Cuba might release him for humanitarian reasons. Cuba should follow the lead of Iran and commute the sentence to time served and release him to return to his family in the U.S. The last dispute is also with Cuba over the U.S. conviction and imprisonment of five Cubans for their efforts to gain information in the U.S. over Cuban exile groups’ flights to and over Cuba. The so called “Cuban Five” were arrested in September 1998 and subsequently convicted of various crimes. They have been in U.S. jails and prisons for the last 13 years. Yet during this long period the U.S. cruelly has granted very few visas to the Cuban spouses of four of them to visit them in U.S. prisons. One of the “Cuban Five” will complete his sentence this October, and the trial judge recently imposed three years of supervised release in the U.S. only, thereby rejecting his plea to be able to return to his family in Cuba. The U.S. should act in a humanitarian manner and commute the sentences of all five to time served and allow them to return to their families in Cuba. In Cuba the five are known as the “Miami Five” and are regarded as Cuban heroes for helping to protect Cuba from terroristic attacks by Cuban exile groups in the U.S. You see posters with their photographs or portraits all over the island. Cuba has mounted an international “Free the Cuban Five” campaign. The time is way past due for the U.S. to have normal diplomatic and economic relations with Cuba. E.g., Goodman & Cowell, American Hikers Leave Iran After Prison Release, N.Y. Times (Sept. 21, 2011). E.g., Archibold, Cuban Minister Leaves a Door Open to American’s Release, N.Y. Times (Sept. 23, 2011). E.g., Assoc. Press, Spy Wants Return to Cuba After Prison, U.S. Objects, N.Y. Times (Sept. 12, 2011); Cave, Americans and Cubans Still Mired in Distrust, N.Y. Times (Sept. 15, 2011); Cuban Embassy in Netherlands, Denied by Judge Lenard, Rene’s motion on his return to Cuba (Sept. 16, 2011), http://www.cubadiplomatica.cu/EN. See Post: The Ridiculous U.S. Designation of Cuba as a “State Sponsor” of Terrorism” (May 20, 2011); Post: U.S. Repeats Its Ridiculous Designation of Cuba as a “State Sponsor” of Terrorism” (Aug. 21, 2011); Post: The U.S. Should Pursue Reconciliation with Cuba (May 21, 2011). The U.S. designation of Cuba as a “state sponsor of terrorism” already has been shown to be ridiculous. “Overview: Designated as a State Sponsor of Terrorism in 1982, the Government of Cuba maintained a public stance against terrorism and terrorist financing in 2010, but there was no evidence that it had severed ties with elements from the Revolutionary Armed Forces of Colombia (FARC) and recent media reports indicate some current and former members of the Basque Fatherland and Liberty (ETA) continue to reside in Cuba. Available information suggested that the Cuban government maintained limited contact with FARC members, but there was no evidence of direct financial or ongoing material support. In March, the Cuban government allowed Spanish Police to travel to Cuba to confirm the presence of suspected ETA members. The most recent report states “some current and former members of . . . (ETA) continue to reside in Cuba.” But the report does not say how many. Nor does it state the particulars of their residence in Cuba. Moreover, in last year’s report, the State Department conceded that some of these FARC and ETA members were in Cuba to participate in peace negotiations with the governments of Columbia and Spain. The Carter Center, Trip Report by Former U.S. President Jimmy Carter to Cuba, March 28-30, 2011 (April 1, 2011), http://www.cartercenter.org/news/trip_reports/cuba-march2011.html. Last year the Council on Foreign Relations basically came to the same conclusion. (Council on Foreign Relations, State Sponsors: Cuba (March 23, 2010), http://www.cfr.org/cuba/state-sponsors-cuba/p9359. )This July the U.S. Congressional Research Service reviewed the arguments, pro and con, for the designation of Cuba as a “state sponsor of terrorism.” It did not come to a conclusion as to whether the designation was justified, but it does not rebut my analysis. (See Congressional Research Service, Cuba: Issues for the 112th Congress (July 15, 2011), http://www.fas.org/sgp/crs/row/R41617.pdf. The blog from Havana– “Generation Y”— is Yoani Sanchez’s courageous effort to let the world know about the daily life and frustrations of ordinary Cubans. She provides sketches of daily life in Cuba–“a dreary, enervating routine of food shortages, transportation troubles and narrowed opportunity.” Other major themes are the need for political and economic changes in Cuba and the Cuban regime’s efforts to stifle her criticisms of the government. A collection of her blog posts from 2007 through 2010 has been published as Havana Real. Two of them prompt comments based upon my three church mission trips to Cuba since 2001. Yoani has won many international awards for her blogging: one of the 100 Most Influential People in the World and Best Blog (Time Magazine), Ortega y Gasset Prize for digital journalism (Spain), one of the 100 Most Notable Hispanic Americans (El Pais Spanish newspaper), World Press Freedom Hero award (International Press Institute) and Young Global Leader (World Economic Forum). “Generation Y” honors those people like Yoani whose have names containing the Greek Y letter, so unusual in Spanish, but relatively common in Cuba in the 1970’s and 1980’s when Cuba was under Russian or Soviet influence. http://www.desdecuba.com/generationy/. The blog also has links to other Cuban blogs in English and in Spanish as well as her articles and interviews. Rohter, In Cuba, the Voice of a Blog Generation, N.Y. Times (July 5, 2011). Sanchez, Havana Real (Brooklyn: Melville House 2011).